First United Baptist Church was born in 1975 at 908 Gull Road by the merging of two congregations: Pioneer Baptist Church and Mt. Sinai Baptist Church. Mt. Sinai Baptist Church was in need of a place to worship and at that time made arrangements with Pioneer Baptist Church to use its Sanctuary. The congregations decided that it was non-productive for two churches of the same faith to meet in the same building separately. Upon the union of these two congregations, we felt it appropriate to name the church First United Baptist Church. This decision was voted on and adopted by the church body. This is our first knowledge of two congregations coming together. Reverend Henry Goins and Reverend Terry Mahone shared the role of pastoring for approximately one year. They did it lovingly and diligently until Reverend Mahone accepted the call to pastor a church in Covert, Michigan. 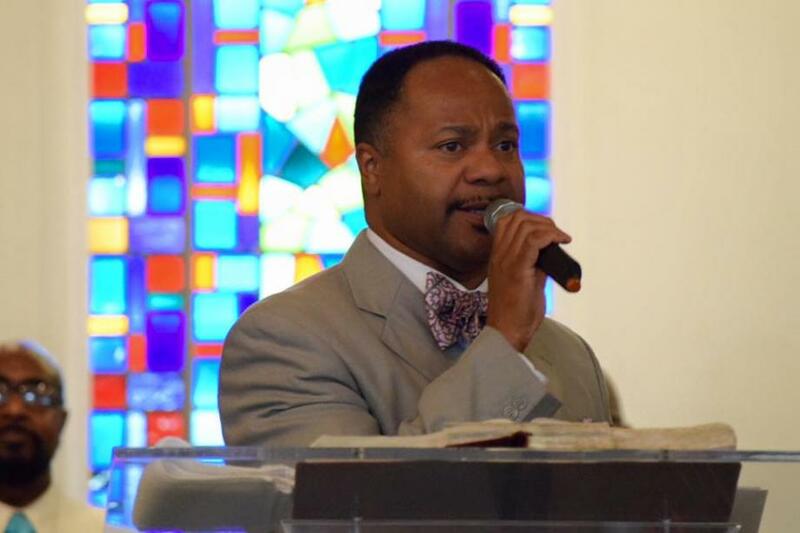 Reverend Goins was soon called to pastor a church in Kibbie, Michigan. Beginning in 1985, Reverend Eddie F. Moore led First United Baptist Church for over ten years. Under his leadership First United Baptist Church grew spiritually, numerically, and financially. In 1998, Reverend Monroe White took leadership of the congregation for two years. He and members had a vision of growth. It was that vision of growth that brought First United Baptist Church to its present location; 821 South Burdick Street. As we entered the new millennium, the Lord blessed us with a new pastor, Reverend Lenzy E. Bell. Pastor Bell is a man of great spiritual knowledge and character. First United Baptist Church continues to experience these blessings in the form of rapid growth; tripling in membership. Pastor Bell teaches us that God can do great things in the lives of people who keep his commandments. As a church body, we have experienced spiritual growth in various areas of ministries, which include: Children's Church, Youth Department, Praise Dancers, Praise Team, Drill Team, Adult and Youth Bible Study, Youth Ushers, New Membership Discipleship Class for Adults and Youth, and office space for Enhancement Ministries. Other areas of growth includes: The Ministry of Compassion, First United Mass Choir, Men's Fellowship, Christian Women Fellowship, Sunday School, and an increase in the Deacon and Trustee Boards. The Lord continues to bless First United Baptist Church. "The Church in the Center of the City, where Christ is the Center of the Church."